Brad from Coatesville, Darrel from Spring & 45 others bought this item recently. 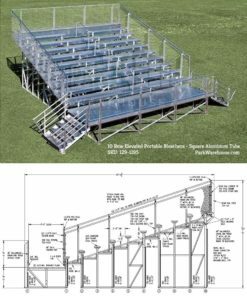 Our 3-row sideline series aluminum bleacher is a cost effective solution for seating between 15 to 54 people (depending on length). 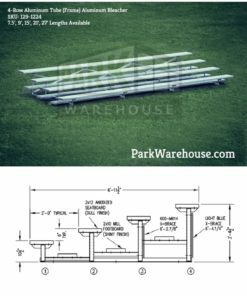 The welded aluminum understructure features a 6" rise and a 24" run (distance from front of one seatboard to the front of the next seatboard. 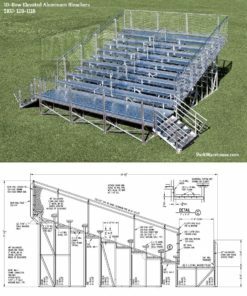 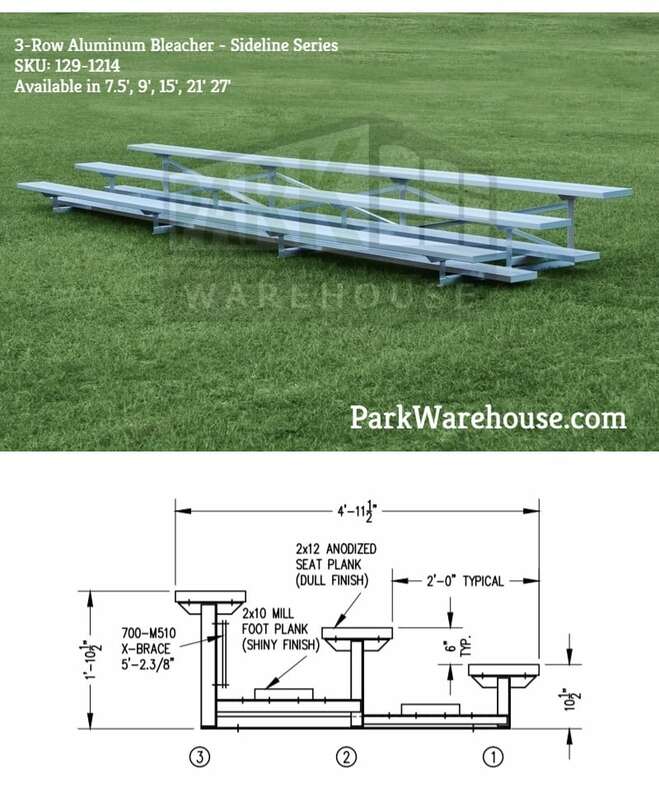 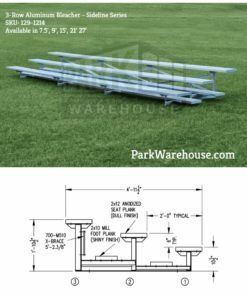 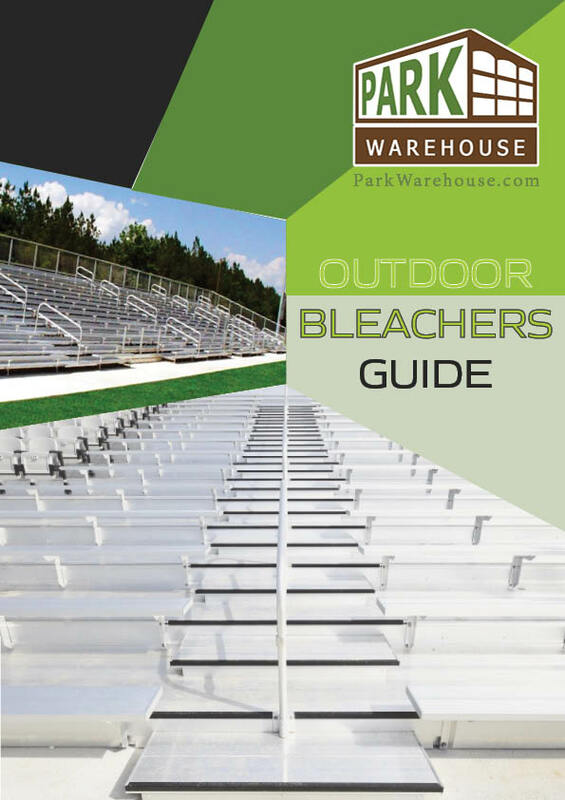 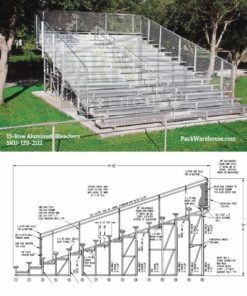 This 3-row bleacher unit comes in (5) standard lengths of 7.5ft, 9ft, 15ft, 21ft, and 27ft with other custom lengths available upon request.